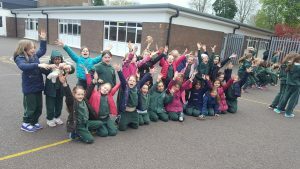 Our Open Day will be held on Thursday 9th June 2016. 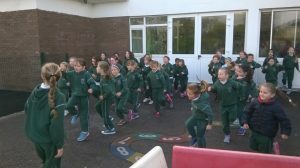 Classes will be performing a variety of songs, poems and dance. 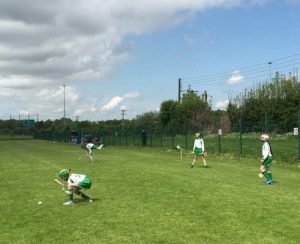 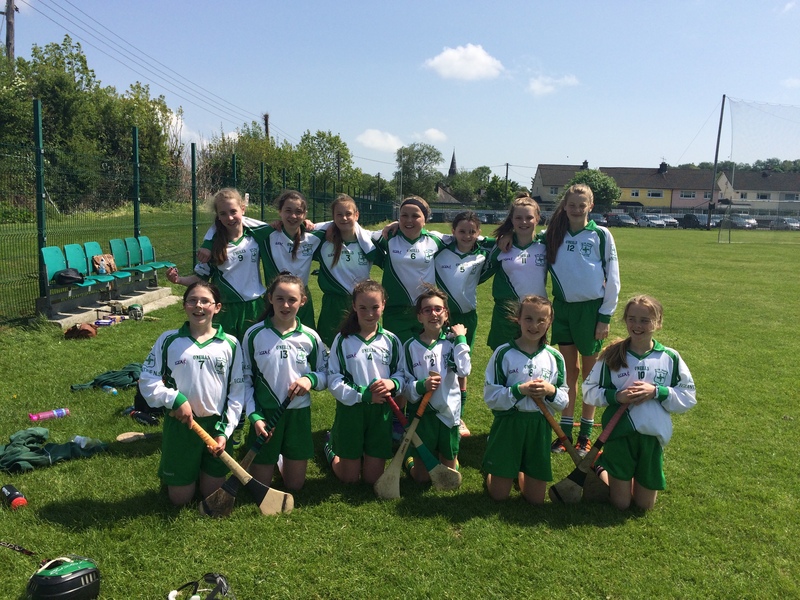 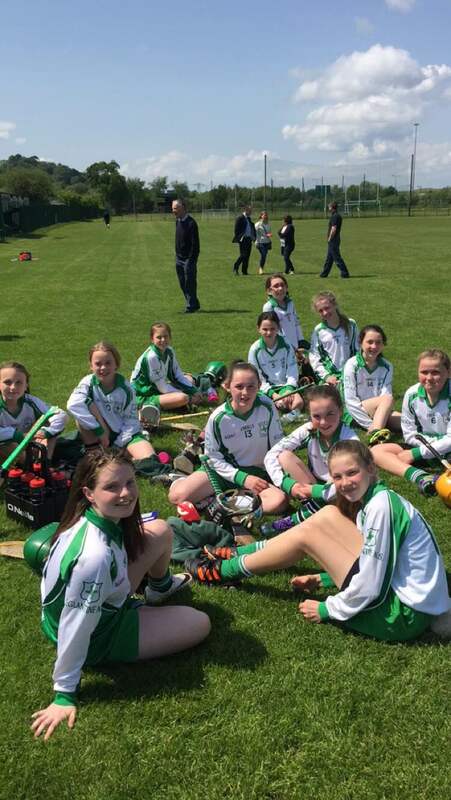 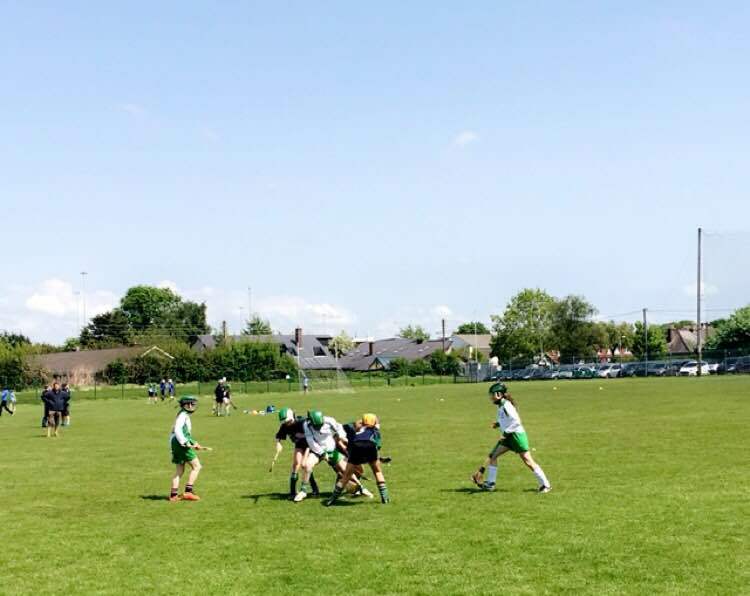 We had great fun today at the Crossing the Camán’s camogie blitz at Douglas GAA club. We were very lucky to make it to the final and we were delighted to come second to a very strong Gaelscoil team! 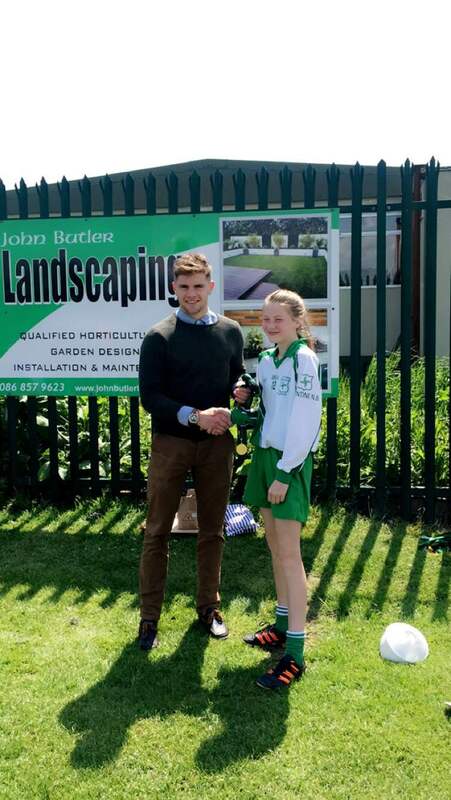 Alan Cadogan presenting Rachel O’Mahony (captain) with team medals. Well done girls! 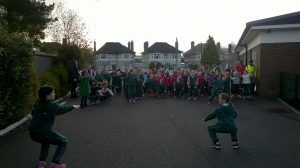 We were very proud of you all. 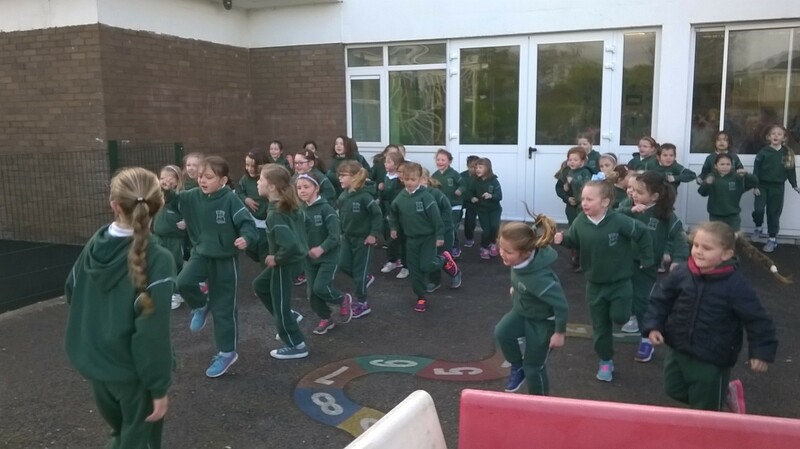 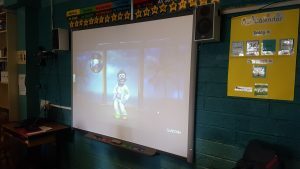 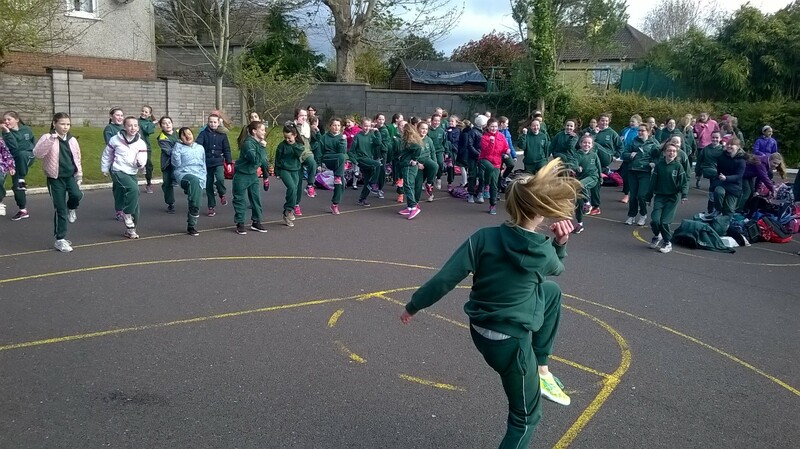 We had our Active School Week in Eglantine from 25th – 29th April. 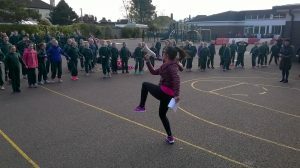 What a success! The girls participated in many activities throughout the week. 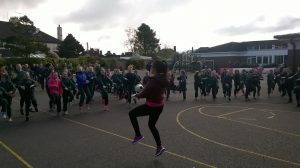 The girls began each day with Wake Up, Shake Up! 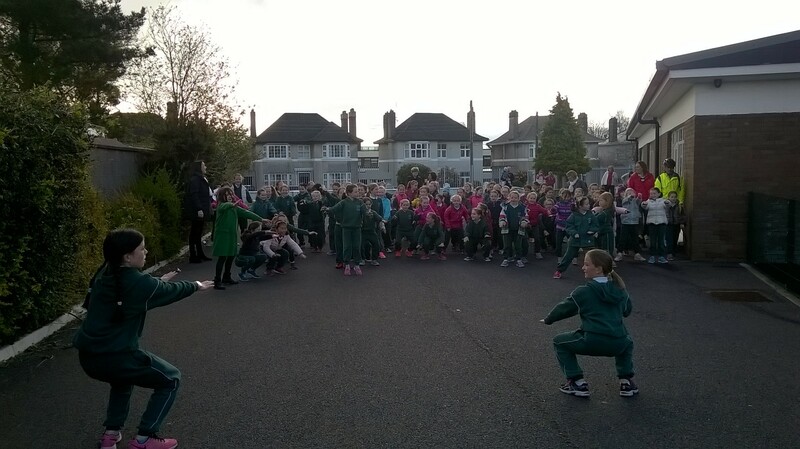 Look at us doing our squats, lunges, and high knees! We are going to keep this up every Monday morning for the rest of the year! At 10.00am each morning, we had DEAR time (Drop Everything and Run). 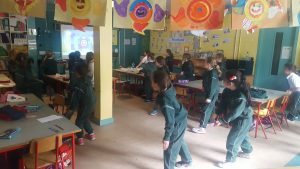 At 12.00 noon we had DEAD time (Drop Everything and Dance). 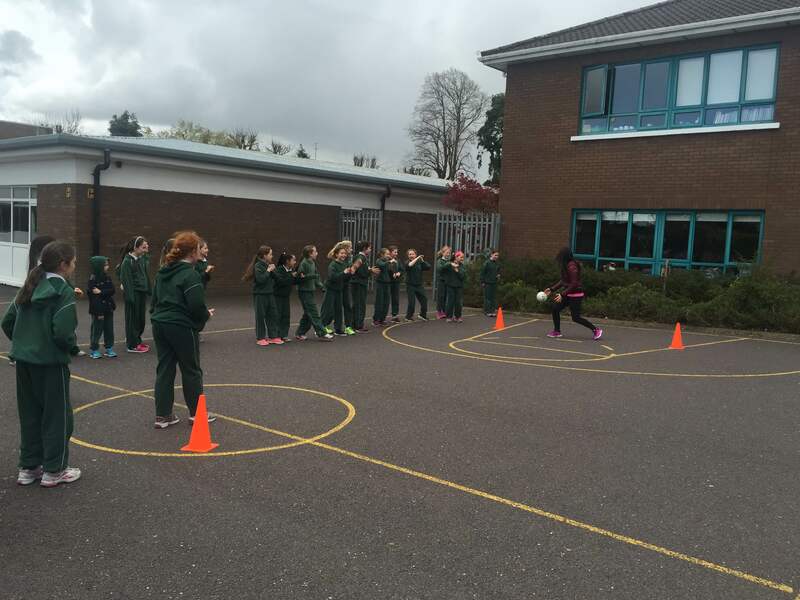 We had many volunteers visit our school during the week to organise a wide variety of activities with the girls. 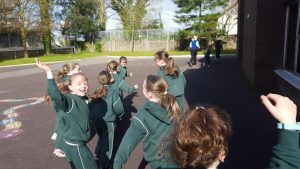 They had great fun trying out new and exciting activities. 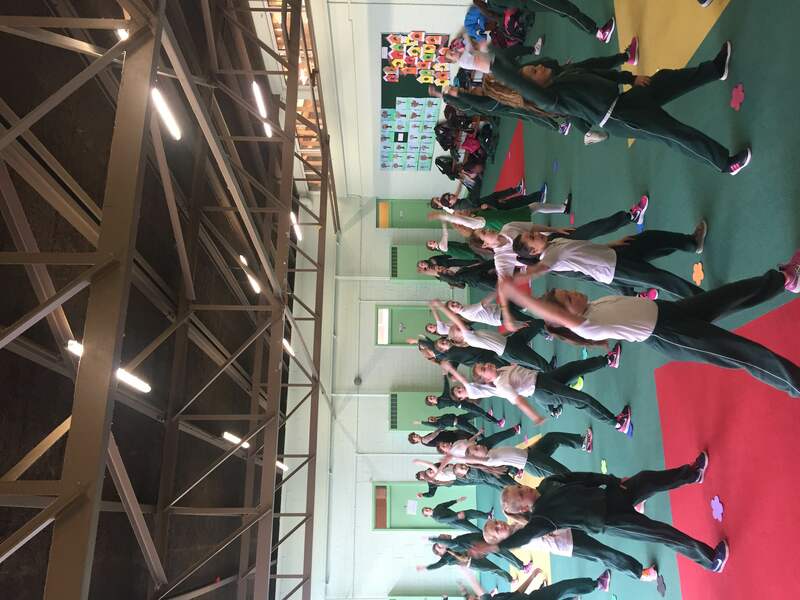 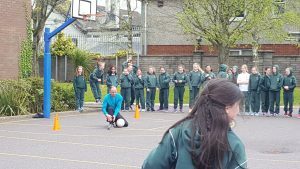 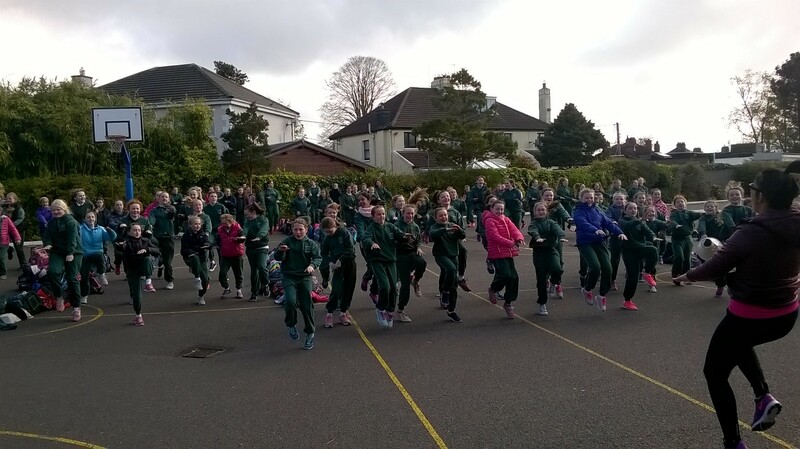 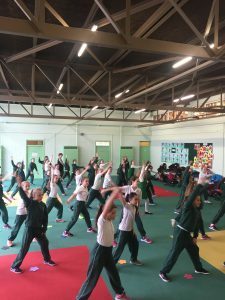 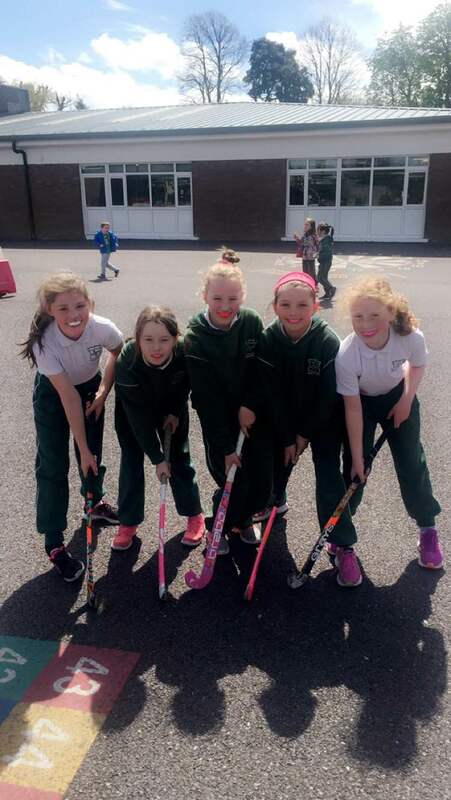 Here are some photos of the girls being active at zumba, gymnastics, tennis, cricket, yoga, Irish Dancing, hockey, creative dance, GAA, basketball, karate and our finale penalty shoot out. 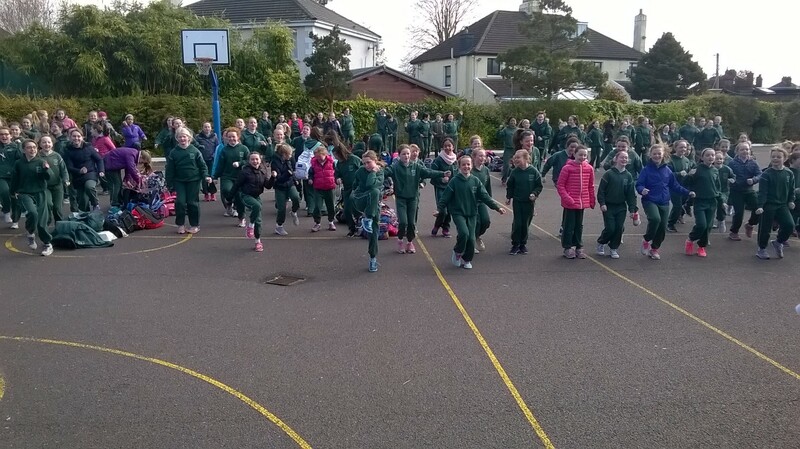 The bouncy castle was of course the most popular activity of the week!